Since the state of Montana took over management of gray wolves from the US Fish & Wildlife Service in 2011, wolves in the state have been classified as a game species. In recent years, wolves from prominent packs have been shot leaving Yellowstone National Park. Most wolves killed in WMU (Wolf Management Unit) 313 are animals following migrating elk out of the park. 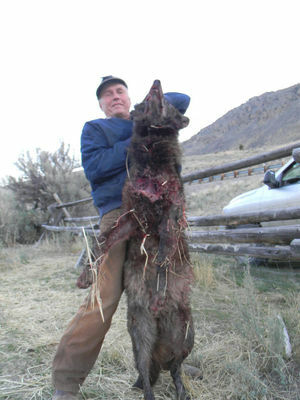 But in some documented cases, Yellowstone wolves have been intentionally lured towards a specific location with bait. 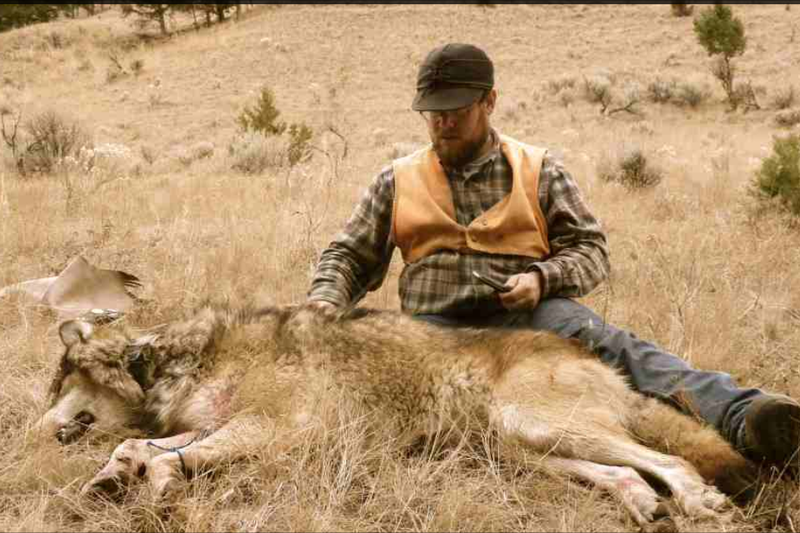 The purpose of Yellowstone Wolf Patrol’s monitoring project is to document Montana’s wolf management policies in the field, where they have resulted in the death of over a dozen wolves from family units that spend the majority of their time within Yellowstone National Park. It is also to investigate hunting practices that while legal, are questionably unethical and against the principles of fair chase. In September 2014, Yellowstone Wolf Patrol began monitoring of Montana’s sport hunting season for wolves outside of Yellowstone National Park. The area along the park’s northern boundary is broken into two wolf hunting units, WMU 313 & WMU 316, each with a quota of three wolves. Our first excursions into the Absaroka-Beartooth Wilderness Area were to monitor the September 15th opening of wolf hunting season which coincides with the early elk hunting season in WMU 313 & 316. 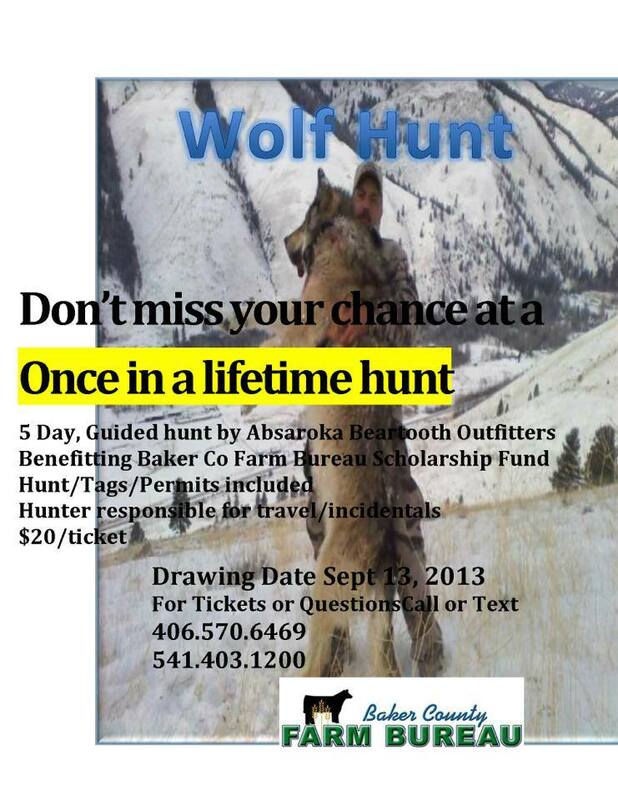 Research revealed that there are two primary commercial guides offering wolf hunts in WMU 313 & 316, Hell’s A-Roarin’ Outfitters and Absaroka-Beartooth Outfitters, the latter also offered a wolf hunt as a prize in a September online lottery. Our patrols located both guides base camps, and monitored some of their hunting activities. This annual early season hunt takes place in high country where primarily, resident elk on wilderness lands are targeted. While we recorded five separate hunting parties and fresh wolf sign in the area, one bull elk and no wolves were reported killed in WMU 313 on the opening week of the hunt in the wilderness area. 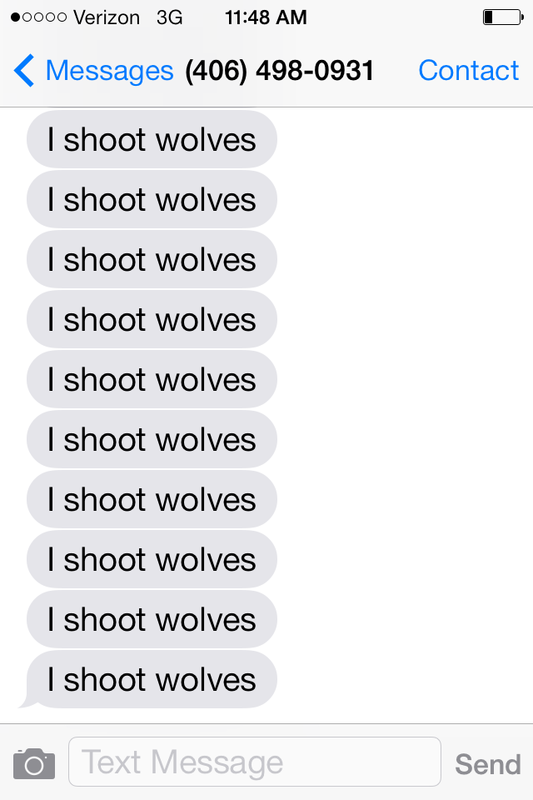 One wolf was later reported harvested in WMU 313, leaving two more in the quota of three for that unit. 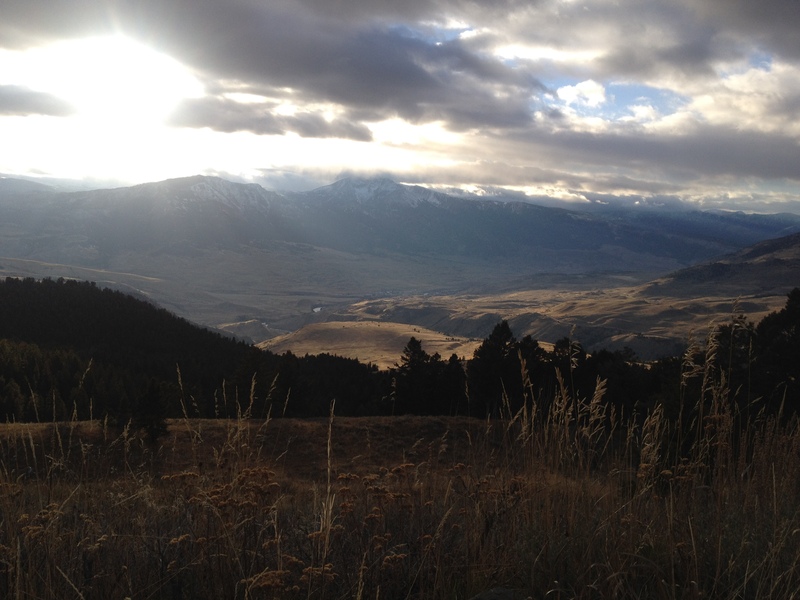 November Wolf Patrol monitoring was planned for the annual winter elk migration that takes place through a narrow corridor that parallels the Yellowstone River, just north of the community of Gardiner, Montana. The Northern Elk Herd that resides in Yellowstone National Park does not leave until colder weather conditions trigger their annual migration to winter ranges outside the park, where they are then subject to hunting. Based on Montana Fish Wildlife & Parks wolf kill data from past years, this is also the area where wolves are becoming more commonly killed while following migrating wildlife out of the park. 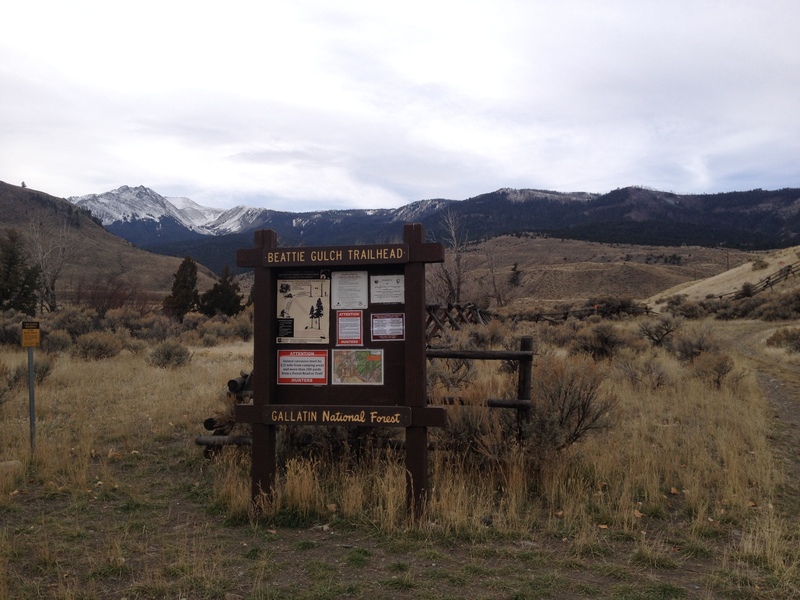 This portion of Wolf & Elk Management Unit 313 is easily accessible by paved and unpaved roads in the Gallatin National Forest. Beginning in the late afternoon, during elk season, slow moving trucks spotting for elk drive up and down the road to Jardine. A local told WP that sometimes they want to lean on their car horn as they drive down the Jardine Road that parallels the park boundary, because of the elk hunters hunting from their vehicles. On November 4th, wolves were heard howling from Eagle Creek Campground. With temperatures dropping, and with so many elk leaving the national park at the time, and so many elk hunters congregating in the Gardiner area, it was only a matter of when, not if, wolves leaving Yellowstone would be killed. On November 5th, three wolves were reported killed within a 24 hour period, all within three miles from the park boundary. One was killed near the Jardine Road, and another was killed in Cinnabar Canyon, three miles from the boundary. The third wolf was the Alpha Male from the Cougar Creek pack, who was killed near Beattie Gulch, just a few hundred yards from the park boundary. Also on November 5th, a radio-collared young female from Yellowstone’s Junction Butte family group, was killed in WMU 316, east of Gardiner, near Cooke City not far from the northeastern entrance to Yellowstone National Park. The unit remains open to wolf hunting with one wolf left in the quota of three animals. Wolf Management Unit 313 is one of only three units with a quota in the entire state, with just three wolves allowed to be killed by sport hunters, yet it wasn’t until many calls from wolf advocates and biologists that the unit was finally closed to wolf hunting on November 7th following a “pending” status that lasted over 36 hours. 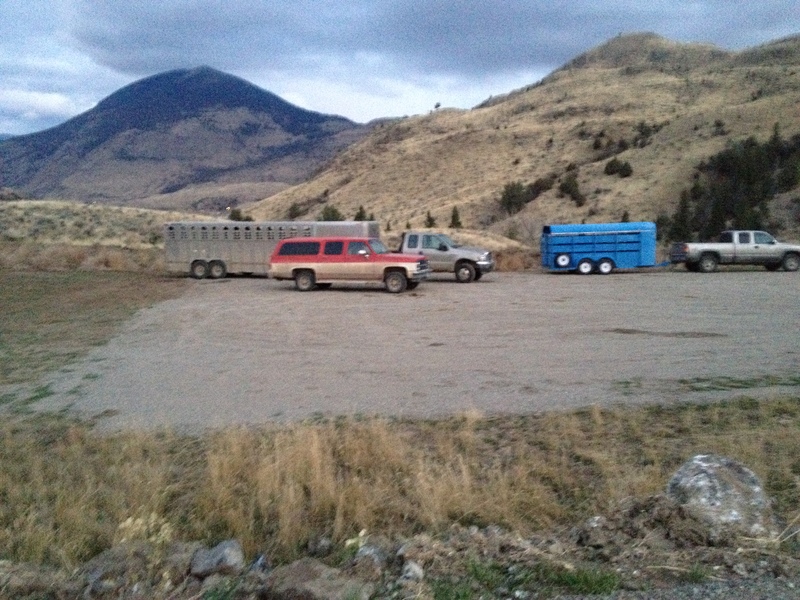 Although many elk hunters in WMU 313 are local residents storing meat before the long winter, Hell’s A-Roarin Outfitters is marketing the opportunity to kill a bull elk and a wolf, charging clients thousands of dollars for seven-day hunts during the elk migration in the Gardiner Basin. Each morning, while we were camped at Eagle Creek Campground, three large horse trailers belonging to Hell’s A-Roarin Outfitters would come thundering down from their Jardine headquarters, rattling by as they drove hunting clients to Gallatin National Forest trailheads north of Gardiner. 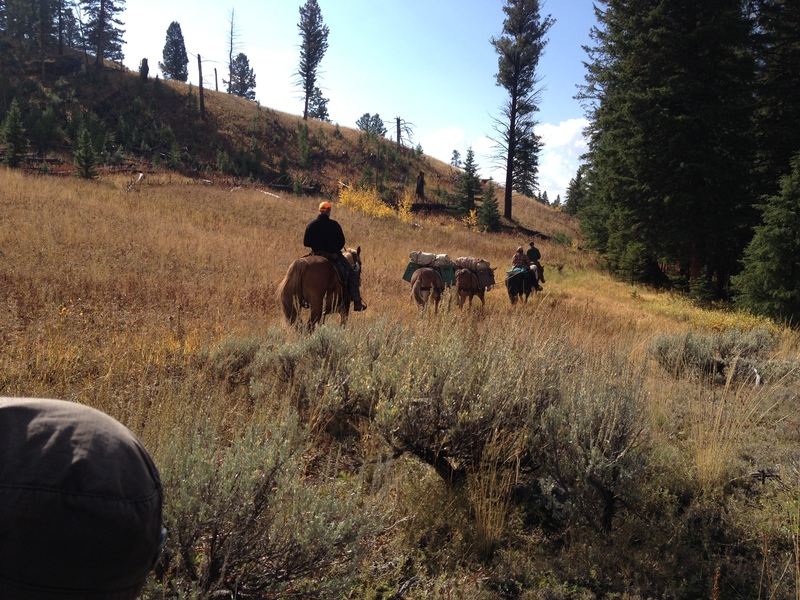 A wolf hunting season that coincides with an elk hunting season immediately outside of Yellowstone National Park cannot be appreciated without an understanding of the history of elk hunting in this portion of the Gardiner Basin. In the early 1900’s, Montana was the elk hunting capital of the world, and Northern Pacific trains transported sport and market hunters from Livingstone, Montana, south to Gardiner, where hundreds upon hundreds of elk were killed in a day. 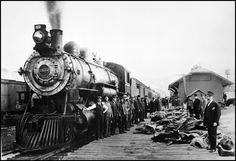 Historian Doris Whitburn recounts how the trains resembled arsenals heading south, and packing plants on their return journey north, with elk carcasses stacked high on flatcars and in boxcars. By the 1940’s, the wildlife corridor outside of Gardiner had become known as, “The Firing Line.” In those days during the elk migration, a siren would sound near Jardine and a gate at Eagle Creek (site of current US Forest Service campground) would be opened allowing hunters to stream into the hills shooting at the elk leaving Yellowstone National Park and entering their winter range. On one wintery day in 1946, over 1,800 elk were shot before noon. Warren Johnson reports in a recent blog on the hellsaroarinoutfiiters.com website that all you needed to get your elk in those days was, “…a knife, a tag and tennis shoes…” The justification for the level of elk hunting in the past was to keep the population in check. Wolves had been wiped out of the ecosystem, and hunters became lazy, shooting elk that congregated in open areas where they had few predators. Since the reintroduction of wolves to the Yellowstone ecosystem in 1995, elk have adjusted their behavior, though they still follow their migratory routes in the Gardiner Basin. The Northern Elk Herd, which uses winter range north of the park and serves as a primary prey source for Yellowstone wolves, was estimated to be the lowest in decades at 4,000 animals in 2013. Still, last year in Elk/Wolf Management Unit 313, elk hunters experienced a 100% success rate. While wolf predation maintains a significant impact on the Northern Elk Herd, other factors influencing elk numbers are human hunting, bear predation and drought related effects. Overall, elk populations remain healthy with our investigations revealing a growing concern by state game managers with elk overpopulation. Yellowstone Wolf Patrol attended Montana Fish Wildlife & Parks’ public presentation of candidates for the position of Supervisor for Region 3, which includes the Gardiner Basin. All three candidates, Kurt Alt, Arnold Dood and Chief Warden Sam Sheppard spoke of the problem with elk herds overpopulating and hiding from hunters on private lands closed to hunting. 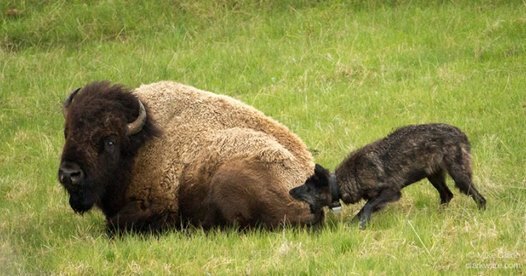 They also stated that they do not support the creation of a buffer-zone or corridor where wolves leaving Yellowstone are protected. On November 6th, Yellowstone Wolf Patrol members were camping near the site of the killing of the Cougar Creek Alpha Male, when a herd of over three hundred elk left the park, streaming north into the Gallatin National Forest. Under the glow of a full moon, their whistling could be heard amidst the thunder of their hooves as they used the cover of darkness to reach their wintering range. These large elk migrations from the park leave animals vulnerable to poaching and unethical hunting practices. With mountains and roads on either side of the Yellowstone River, the elk must remain in the lower areas if they are to find suitable winter grazing areas. While Yellowstone Wolf Patrol witnessed no unethical elk hunting behavior practiced by local guides or other Gardiner area elk hunters (other than road hunting), the annual migration of elk to winter ranges still does tempt hunters to engage in unethical and anti-fair-chase behavior in Montana. This was illustrated on October 26th, about a hundred miles north of Gardiner, near Canyon Ferry Lake where a herd of more than 500 elk were corralled by hunters. 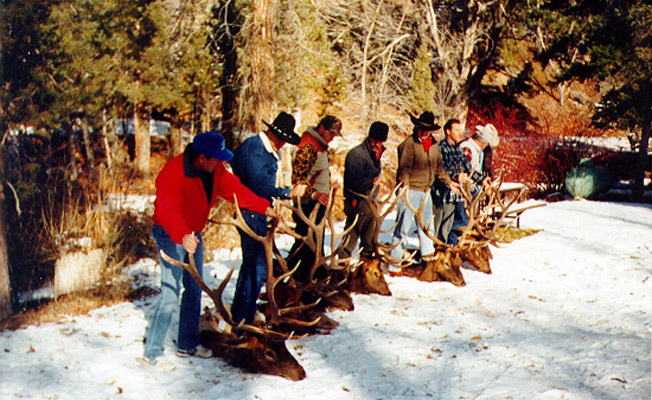 As the elk were chased from private property, hunters began to mass around the fleeing elk. 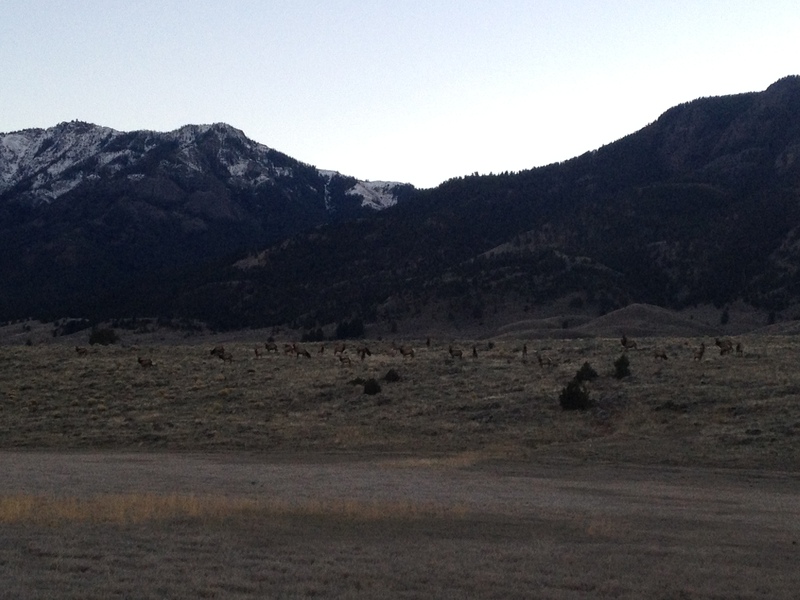 One of the hunters said he heard over 90 shots as the elk streamed off of the private property. According to news reports, a line of trucks converged on the area as reports of the trapped elk circulated via hunters with cell phones, some allegedly blocking the animals’ escape with trucks and all-terrain vehicles. “It sounded like a world war going on,” according to one cited hunter. Many witnesses reported hunters shooting directly into the herd without regard towards injuring non-targeted elk. A hiker reported that the cow elk were swirling around their young calves, trying to protect their young by keeping them in the center of the heard. While it is illegal to use cell phones to relay information about elk movements to other hunters, it is increasingly common. Also, however unethical, it is not illegal to shoot into a herd of elk. In this particular incident, 30 elk were killed, many more injured and one bull elk seized by FWP wardens. Three hunters were given $170 citations while others were given verbal warnings according to FWP Warden Sgt. Dave Loewen. 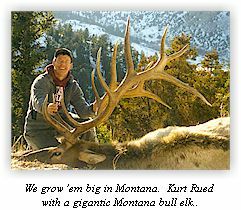 The elk herd shooting incident reveals that there still exists a strong propensity amongst some hunters to exhibit unethical and even cruel behavior against the wildlife of Montana. No where has this been more evident to Yellowstone Wolf Patrol than in what we have seen demonstrated by Montanans towards wolves on social media since the state’s wolf hunting season began. 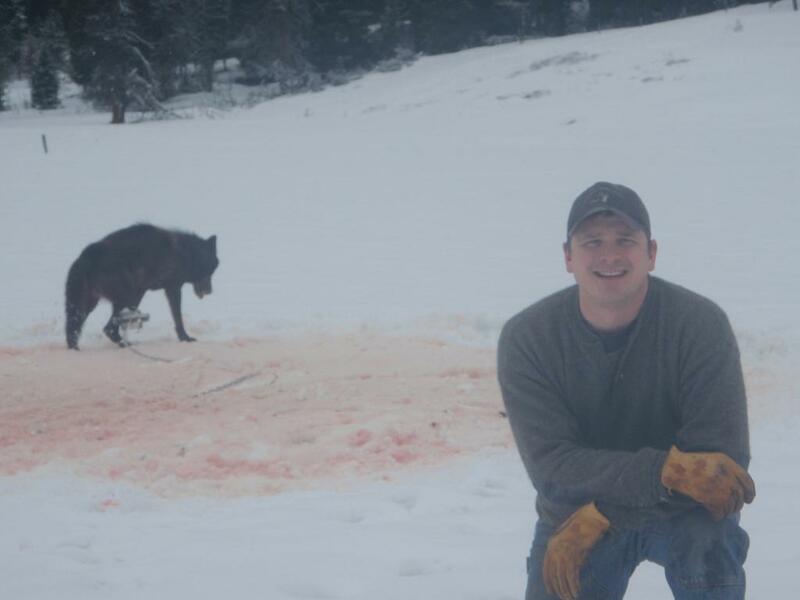 A US Forest Service employee took pictures of himself with a still living bloodied wolf in a trap, a Gardiner man used live sheep to lure and kill a Yellowstone wolf and anti-wolf advocates carry around radio-collars from dead Yellowstone wolves like trophies. Since our monitoring project began in September 2014, we have also documented online statements by individuals in the state pledging to exterminate entire wolf family groups in the Yellowstone area. Incidents such as the elk shooting near Canyon Ferry Lake, also illustrate how vehicles and technology allow for a backslide towards unethical and unfair-chase hunting of big game hunting in Montana. Also, how much damage one individual, let alone many, can do with a gun, truck, smartphone and a hunting license, especially with an apex species such as the gray wolf. Present regulations allowing for it being legal for anyone to kill as many as five wolves less than five miles from Yellowstone National Park with the appropriate license and tags. In addition to the already existing high mortality risk imposed on Yellowstone wolves by a liberal hunting season, starting December 15th, the trapping season for wolves in Montana begins. In the 2013-14 wolf season, 87 of 230 wolves killed were trapped. FWP data on wolf trapping in the state has revealed that many non-target animals including dogs are unintentionally caught in traps. Since 2012, when wolf trapping began in Montana, fifteen mountain lions, a grizzly bear, lynx, golden eagle and a whitetail deer were accidentally caught in wolf traps and those numbers are known to be highly under-reported. I support these courageous individuals! Ed Abbey is beaming from eco heaven re your work…The madness needs to be shown to the American public ..they are clearing our lands once again of this majestic being. We know this is wrong .Obama administration is a sheep in rancher’s clothing..led to slaughter by the NRA and Clive Bundy crowd!…It is so shameful that a democratic president doesn’t have the knowledge in his staff and bad appts to Interior and Ag to understand the wolf delisiting is dead wrong! WOLF HATERS DO NOT! Playing politics with our wolves is a sure way to not get anymore demos elected…we paid the price at the polls ..The wolves pay the price with their precious beautiful lives. We are stupid is as stupid does on this policy ..He turned back the clock to 1800’s, Harvard science profs should call him out now. And the American public…show some backbone Mr President and admit this is wrong and get this out of the state’s hands that are massacring and making a mockery of America’s environmental laws. Not that I agree or disagree, but I will tell you, after my experience as a game warden in a large hunting state in the US, monitoring and writing public articles about a lawful hunt, might turn out bad for you. I was monitoring elk hunting in the state I was employed by many years ago and ended up with several shots being fired at me and one of them connecting with my left arm. After months of investigation, we never did turn up any viable suspects. I just feel very lucky, even though I was wounded and have little use of my left arm, I am alive. Montana is a big place and there are quite a few people who are not above throwing a shot your way, if they feel you are getting in their way. Be very careful boys in girls, the life you save may be your own. Thank you for keeping up your very traumatic work and for shining a light on this terrible darkness. I wish I could do more to help. If any of you ever come through Eugene/Springfield, you have free acupuncture treatments for life.